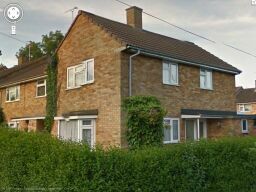 I don’t know exactly how old I was when we moved to Hemel from Willesden London N.W.10.. My first memories were from about the age of 4.. We lived in a flat in Underacres Close near Mayland’s Wood.. I remember getting lost in the wood and a nice man helped me by lifting me over his back garden fence and putting me back in Briery Road so I knew were I was again. I remember going to the nursery school on the corner of Lawn Lane and Durrants Hill Rd.. we could see the Grand Union Canal from the play ground at the back of the school. I went back there recently on a Hemel holiday. The school has gone now and there is a new building there now. At the age of 5.. I started school at Maylands Infants.. My most vivid memory is slashing about in the blue concrete padling pool on a beautiful hot summers day.. and catching bees settling on the flowering shrubs in jam jars. My best friend’s mother was the lollypop lady who helped us cross Adeyfield Rd. About that time we moved from Underacres Close to Farland Rd.. it was a brand new housing estate and when we moved into our new council house the builders were still finishing the houses in our street.. I really liked our new house.. it was at the top of Farland Rd.. looking down the hill.. and from my bedroom I had a view down the street. To the left was a large patch of land with a night school.. when I went to bed.. I used to look out my window and see them all busy studying.. from my other bedroom windows I could see the garages.. and a grassy area. The builders had left a huge mound of earth and we used to play on this small hill. This hill has gone but the grassy area and the garages are still there.. and where the night school was.. now there are flats.. I think.. for the elderly. I used to walk to Maylands school and back.. by myself.. along Leverstock Green Rd.. past Coxes Pond.. which has gone too.. I used to catch baby frogs and newts by the pond’s edge. I had a school friend who was German.. and he invited me to tea.. He lived in the old timbered house next to Coxes pond.. I remember being to scared to go upstairs alone.. to the toilet because I though his creepy old house was haunted.. I was only about 6 or 7. I remember walking along Longlands Rd.. to Queens Square with my mum. Sometimes we walked even further.. along Adeyfield Rd.. done the hill.. to the new town centre too. Or we would walk down St Albans Rd to the town centre.. I can’t remember there being buses to get around town.. or maybe we were so poor we could not afford them. Both my parents worked.. but no one had much money back then. Sometimes we would take the Greenline bus and visit my Gran in London.. I remember also going on trips to St Albans.. and going up the Clock tower.. and seeing all the Roman remains. We left Hemel.. in 1961.. when I was 9.. and moved to Cornwall. I went back to Hemel last years for the fist time since we left.. and took a lot of video of the places I remember.. in HD.. It is now available on Utube on my channel called – The Virtual Tourist. If anyone wants to see my videos of Hemel Hempstead and other towns in hertfordshire… search for Farland Road.. and this will give you a link to my channel playlists of Hertfordshire.. I went to Maylands, lived in Briery way. Hi Pat.. I was there from about 1964 (I was born in 1951) to 1961.. we moved to Cornwall when I was 9.. I used to walk to Leverstock Green.. it was not far from our house in Farland Road.. I also walked to Redborn when I was about 5.. just being curious about what was round the next bend.. We had so much freedom as kids then.. I am an old resident of Hemel Hempstead and grew up there in the 1950’s. Both of my grandfathers were born nearby in Bedmond so I have lot of history there. My Mother was born in Leverstock Green. I do not know whether we ever encountered one another as you did not mention when you were there, however it is good to hear how much you enjoyed your time in the town. By the way, I went to the same nursery school from the age of 4. Another coincidence is that my son lived in Briery Way for a while until a couple of years ago.